Just a few miles north of Sioux Falls lies Lynn Boadwine’s dairy farm. 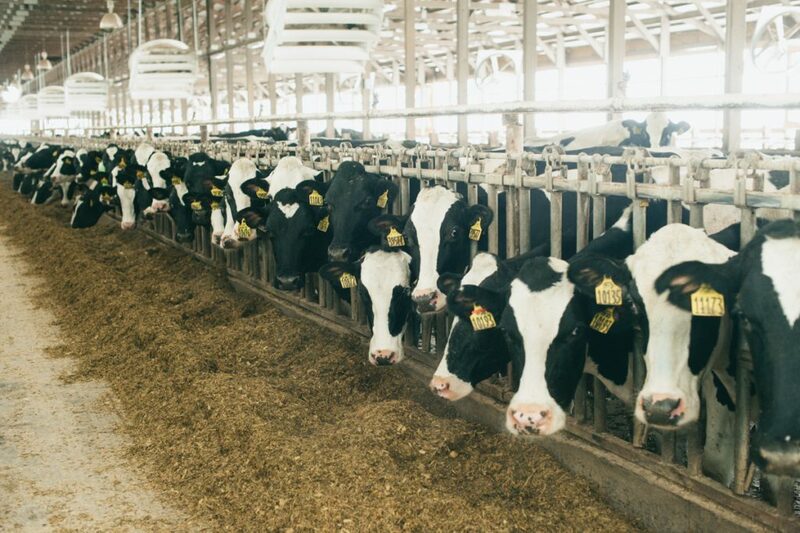 Homesteaded in 1874, Boadwine Farms is home to more than 2,000 dairy cows and 2,000 acres of corn, alfalfa and sorghum. Lynn is the fourth generation to farm this land, along with his employees who keep the family-owned operation running smoothly. Heidi Zwinger is one of those employees. 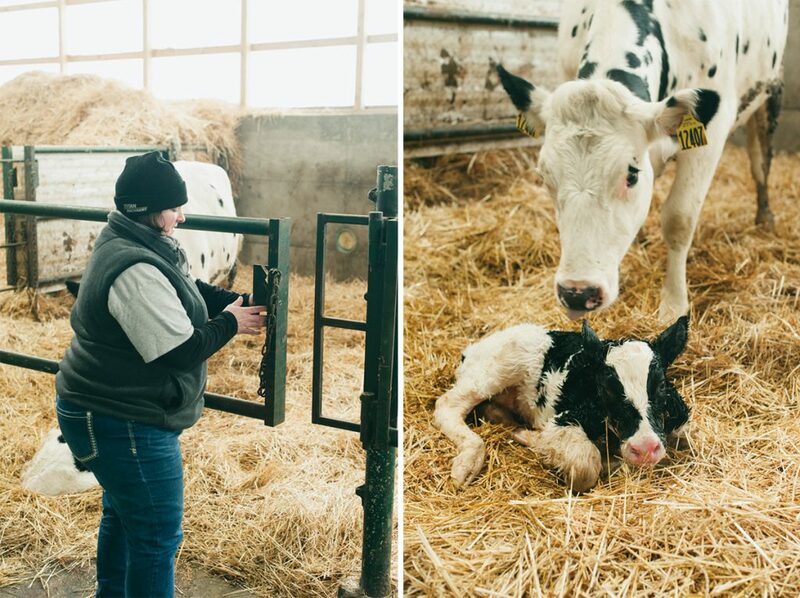 She’s worked on the farm as a herd manager for 16 years, helping care for the dairy cows and managing the other farmworkers. 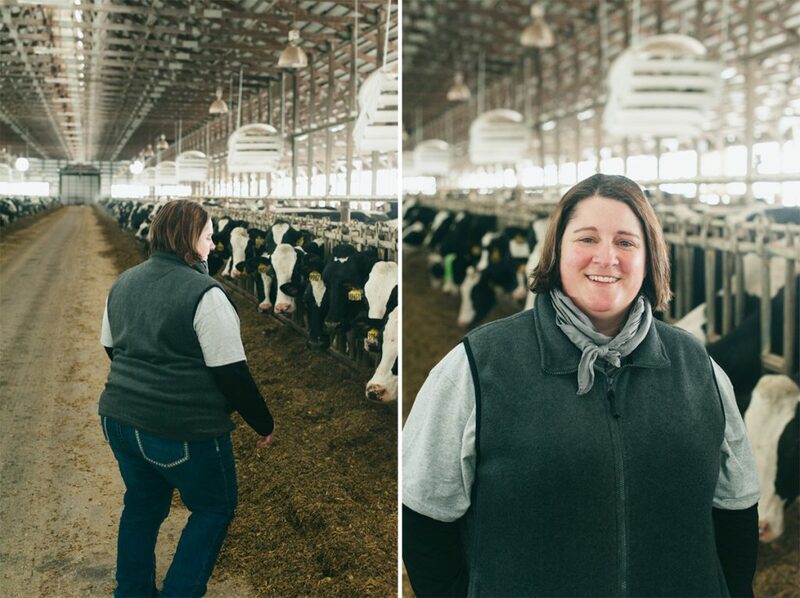 Heidi, who grew up on a dairy farm, is passionate about producing great milk while taking great care of the animals. On farms large and small, everyone who works together is passionate about ensuring the animals are well cared for so they can create delicious, high-quality food. 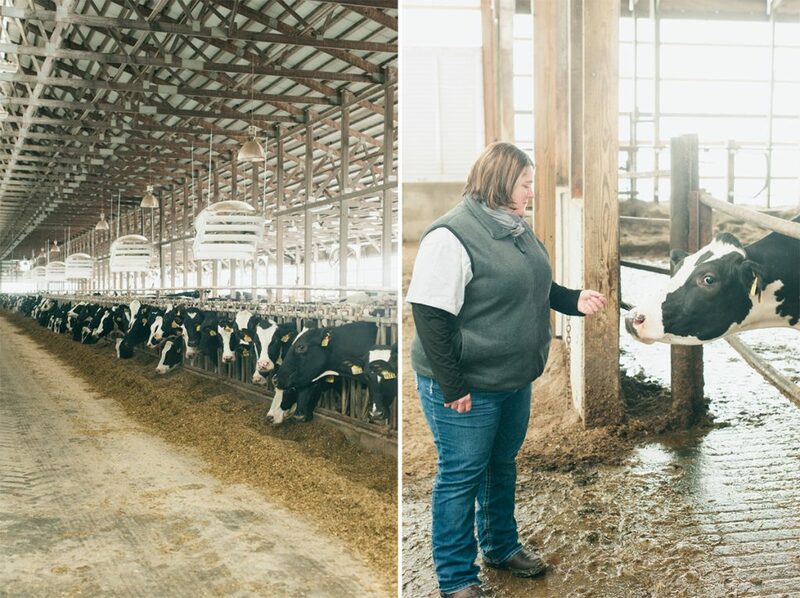 One way Heidi and her coworkers take care of the cows is by feeding them a high-quality diet. Dairy cows need a protein-rich diet to produce delicious, nutritious milk. 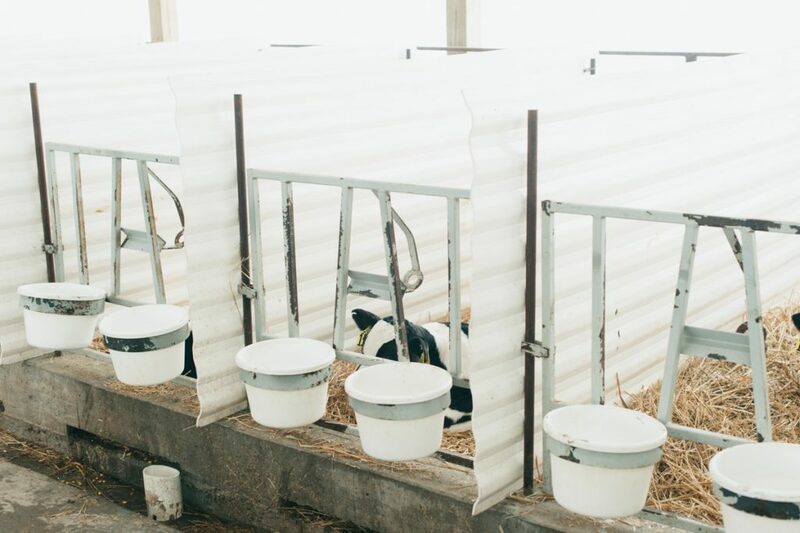 The cows at Boadwine Farm are fed hay and silage grown right on the farm, supplemented with soybean and corn meal from the local grain elevator. Soybeans are a great source of protein so dairy cows across South Dakota enjoy eating approximately 18,000 tons of soybean meal annually. 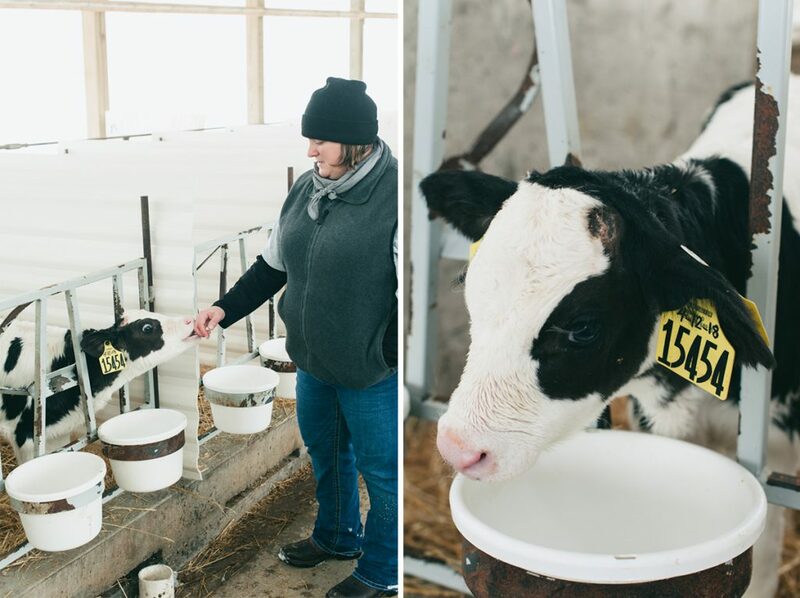 “We harvest everything we plant as feed for the cows, so nothing is wasted,” Heidi said. “Our cows eat locally,” she added with a laugh. 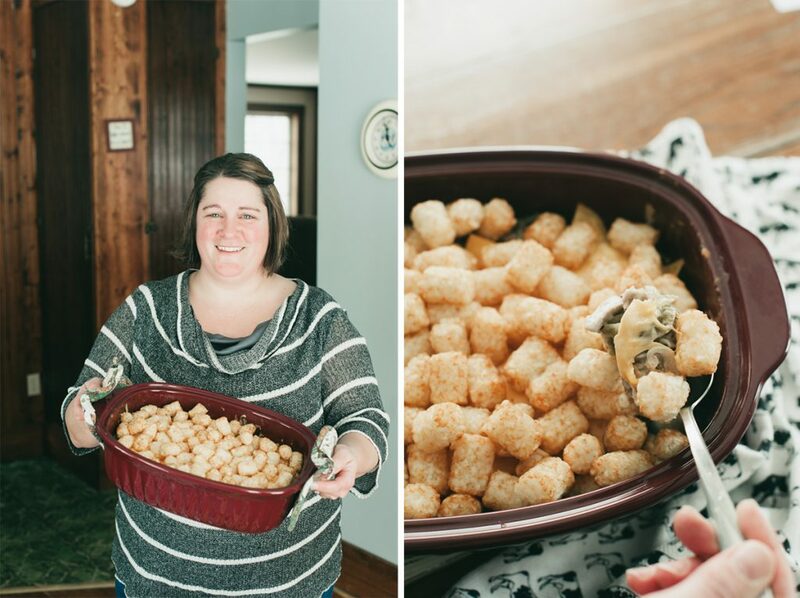 After a long day tending to animals, there’s nothing like curling up with a hearty plate of Cheesy Tater Tot Hotdish, an upper Midwest specialty. 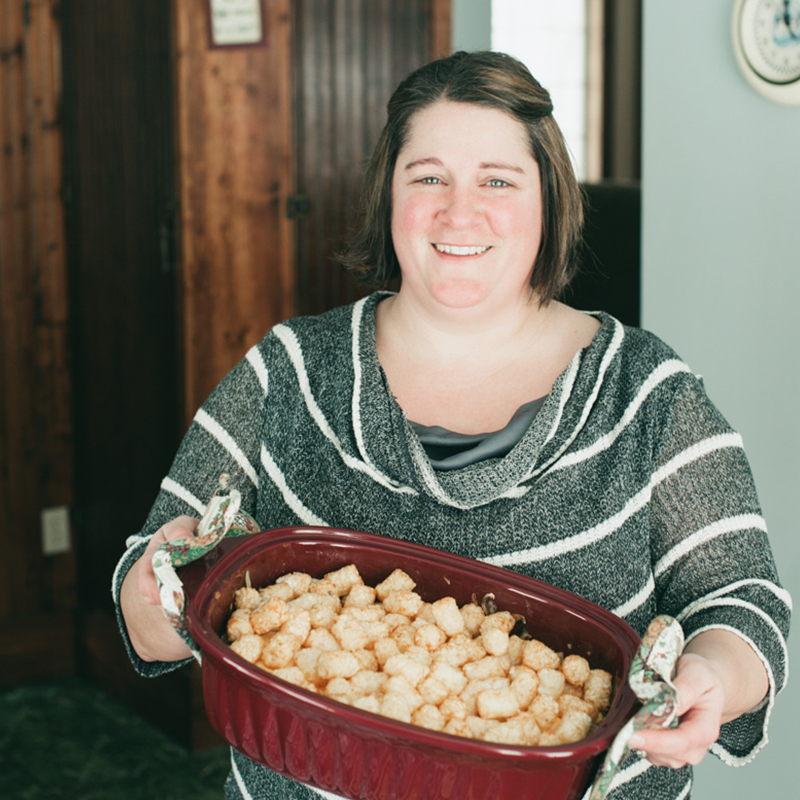 Dig into Heidi’s cheesy tater tot hotdish! Need another classic dinner option? Try this classic meatloaf. Brown beef with onion powder over medium heat and drain. 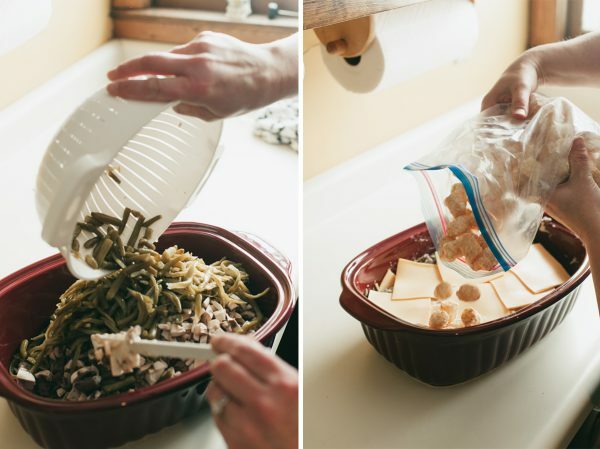 In a casserole dish, mix browned beef, soup, green beans, mushrooms and 4 slices of cheese torn into small pieces, salt and pepper. 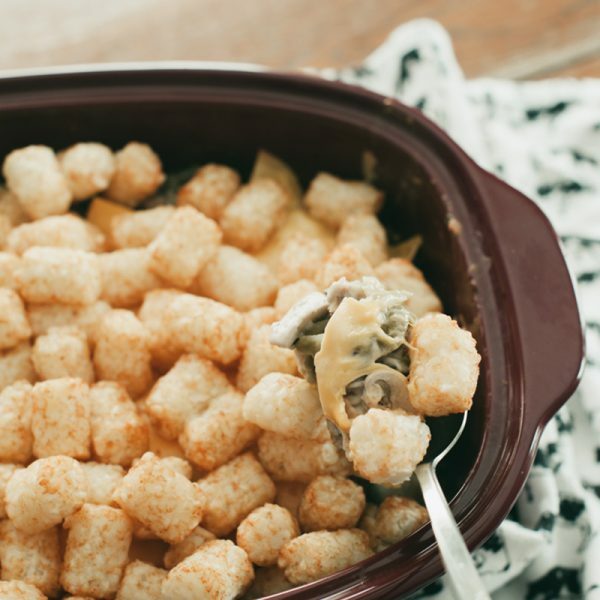 Layer remaining cheese slices over mixture, then layer tater tots over cheese. 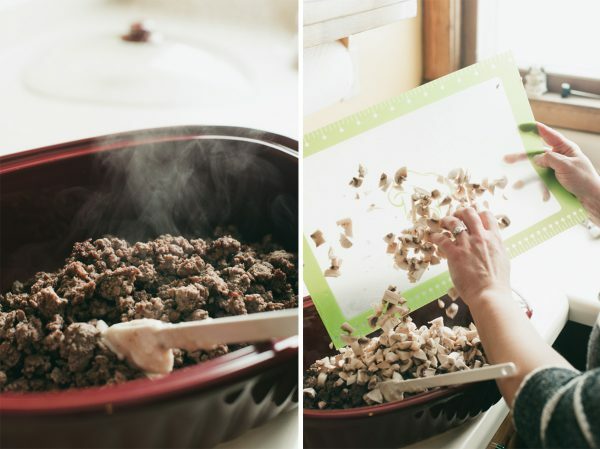 Cover with lid or tinfoil and bake for 45 minutes. Remove covering and bake for another 15 minutes to crisp tots. Substitute 1-1/2 cups shredded colby Jack cheese for the American cheese. Substitute chopped cauliflower for tater tots. The ingredients list doesn’t include green beans – how many were used? Sorry about that. Thank you for pointing it out! 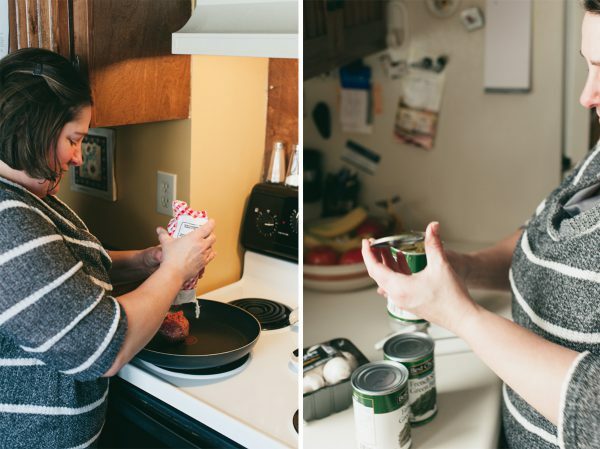 We’ve updated the recipe to include 2 cans of green beans. Let us know how it turns out.